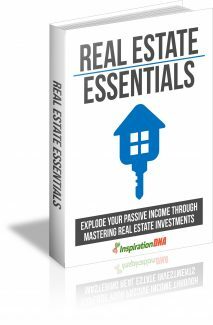 In this eBook, different aspects of being a real estate investor will be looked. First of all, you will get to learn the basics of real estate and the investment opportunities. This will give you some background on what exactly is entailed in these investments. You will also get to learn whether or not you have what it takes it even invest in real estate. There are many people who rush into making an investment without really thinking about what it really entails. This eBook takes a look at some of the considerations that you should make before making your investment. It also helps you realize right from the start whether or not real estate is the right investment for you. There are a number of simple techniques that successful real estate investors have managed to use and succeed. These tips will be shared in this eBook. You will also get to learn the simple methods that you can use to get started in real estate investments. Like in any investment opportunities, there are challenges and risks that come with investing in real estate. In this eBook, we will look at a few of these. Knowing what hurdles to expect helps one to be adequately prepared. You will also get a few tips on how to deal with these issues. All successful real estate investors share a number of qualities or character traits. These are what make them stand out in the industry and make a name for themselves. We will look at these qualities in this eBook. This will enable you to determine whether or not you have these traits of a successful investor. Some of the qualities are developed as you grow as an investor, you will also learn about them. You will also get some tips on how to succeed as an investor in real estate. These tips will work for the people who are just starting out and also for those who are already investors. You can learn how to fully realize your potential by simply applying a few tips. After reading this book, you will be able to establish whether or not real estate is the right investment for you. You will also be able to learn about the industry and get some advice on how to explode your passive income by mastering real estate investments. If you have been investing in real estate without getting the returns that you desire, this book will enable you to learn what you may be doing wrong. Maybe you just need an attitude adjustment or maybe you chose the wrong kind of property investment opportunity. All this will become clear by the time you complete the final chapter. Investing in real estate offers a lot of good opportunities. The key is to know how to succeed as an investor. You need to learn what real estate entails, the risks involved, challenges and success tips. In this chapter you will learn what exactly it means to invest in real estate. If you are new in this industry, this will give you a great insight of how this kind of investment really works. You will also learn the basics of real estate. You can’t invest in an industry that you don’t know about. For this reason, you have to familiarize yourself with real estate before even thinking about any investments.